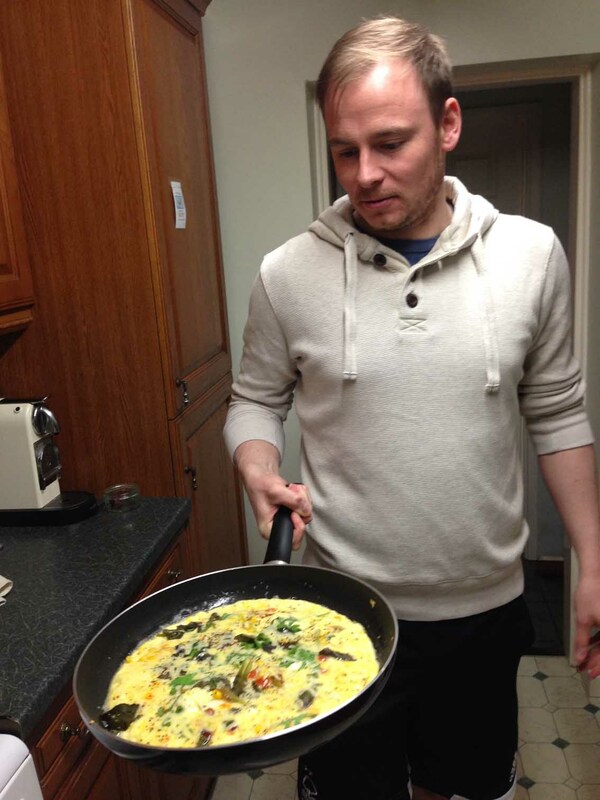 Andy vs Food: A Mahoosive Omelette! Andy made an omelette for dinner but as he used four eggs, it turned out to be a bit of a beast! He also sprinkled in cheese, chicken, rocket, sweetcorn, and olives. As it was so big, I challenged him to flip it. Well you have to, don’t you?